Three years ago today, the very first adventurers set foot on a lost island that became known as Dino Island. It was the start of a nine day long adventure that would for many of us become something we would hold dear in our hearts. For a lot of us RSC was a life changing experience forcing us to face and overcome our anxieties and fears. It taught us that by working together people from various walks of life could enjoy each other’s company and have fun. No matter what gender you are, whether you are a creator or noncreator, regardless of difference of beliefs or sexual orientation a large group of people can get along and take care of one another. Many people who felt outcast by various other groups for whatever reasons found in RSC a welcoming family where they could feel at home. This is what RSC is about. Three years ago we never imagined how much of an impact RSC would have on so many people’s lives. Quite frankly we never imagined we would return a second year let alone a third. When RSC first came to fruition we were ridiculed, told we wouldn’t make it, that we were just reinventing the wheel and that there were already others who were better and thus no need for yet another camp. Many people wrote us off for being free because free things are often thought of as being of little to no quality. I won’t lie and say that it didn’t bother us, at times we really feared that all the time and effort that was being put in by many people would be in vain and no one would come. We managed to persevere though and we stuck to our plans never imagining the remarkable result. We will never regret the hard work. 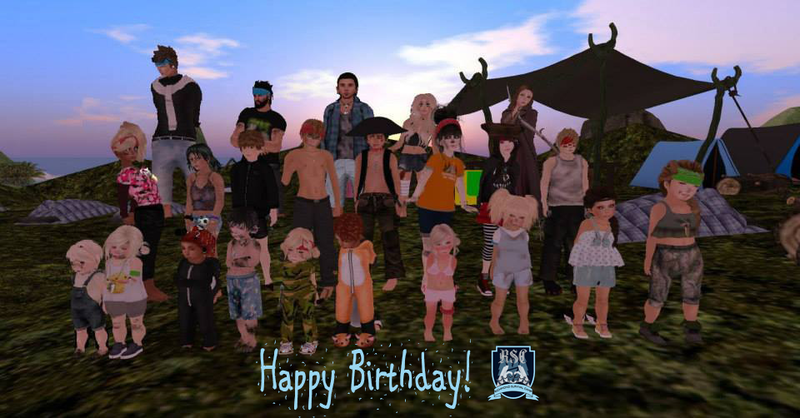 Today RSC has grown immensely and it has become a community driven experience. We are honored to have so many of you helping us wherever you can, whether it is through donations, advertising, lending us the use of a sim for our shops, setting up and decorating the sims, volunteering as caretakers, pixies or pirates. We are humbled and truly thankful. 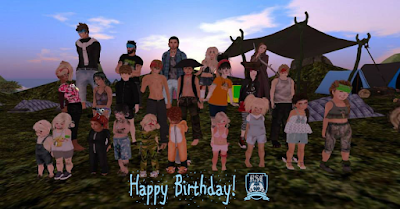 RSC comes together thanks to everyone of you, it is not just me or Mckenzie, it is all of you who make RSC what it really is. This year nearly 300 of you prepare to embark on a new adventure with us. It is our hope that every single one of you shares in our vision. That for the nine days which we spend together we are but one entity, one family, brothers and sisters looking out for one another and sharing friendship and love that only family can offer. For nine days you will forget any differences you may have with one another and remember that we are all equals. That you will embrace and keep in your hearts the many memories you will create and share with one another. We can’t wait to see you this July 23rd. Thank you all for being part of our family.